Our revenue graph was confusing. We fixed it. We agree with you, Jesse! 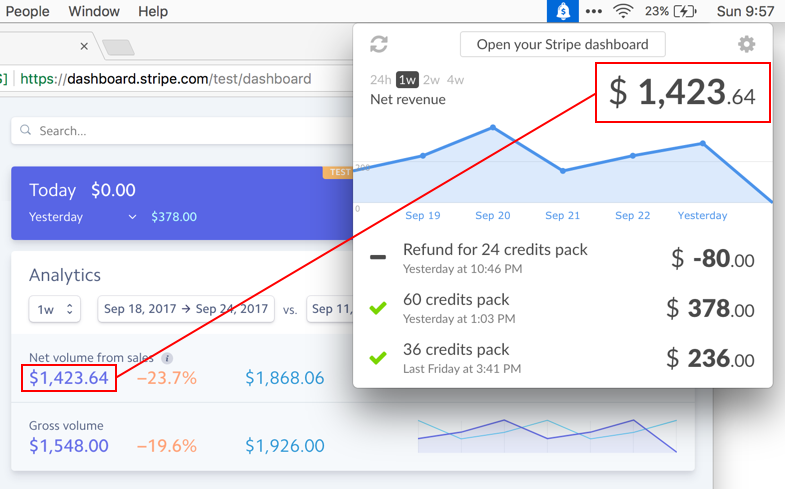 Until recently, the Stripe dashboard revenue graph only displayed a gross volume. It did not exclude refunds and was not the most useful indicator. In CashNotify, we made the decision to deduct refunds from the beginning. But our graph did include fees, and thus did not represent the money transferred to your bank account. 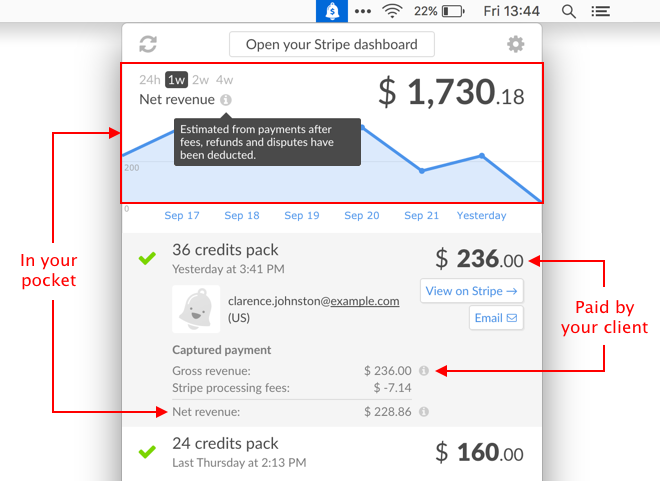 We’re adopting the same “net” definition as Stripe. 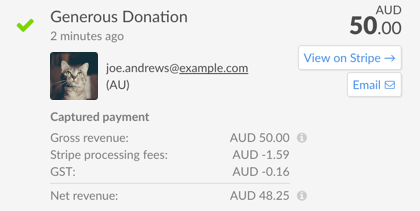 And we’re adding the breakdown of fees within the event’s details. They also help understand the consequences of a partial refund on fees. If they apply to your account, application fees and taxes are also listed. 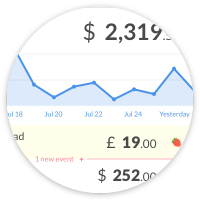 We’re changing this as well to match with Stripe. If the numbers don’t match, please get in touch. It’s possible that we missed something and we’d love to understand what. We shipped this new feature in 2.5.2. Try it out with our free trial!